A week ago ACES reported the problem to the San Pedro police and were told that a warning would be issued to the people who were guilty of feeding the croc. A fed croc will always be a safety issue, therefore ACES decided it was best to remove the reptile from the highly populated area. 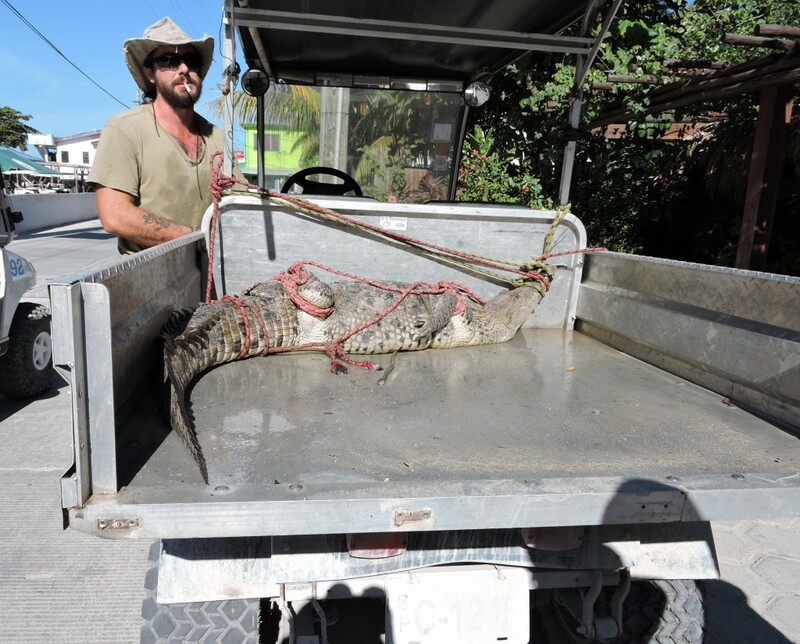 ACES Croc Wrangler Chris Summers transports the captured crocodile to a less inhabited location far north of town. 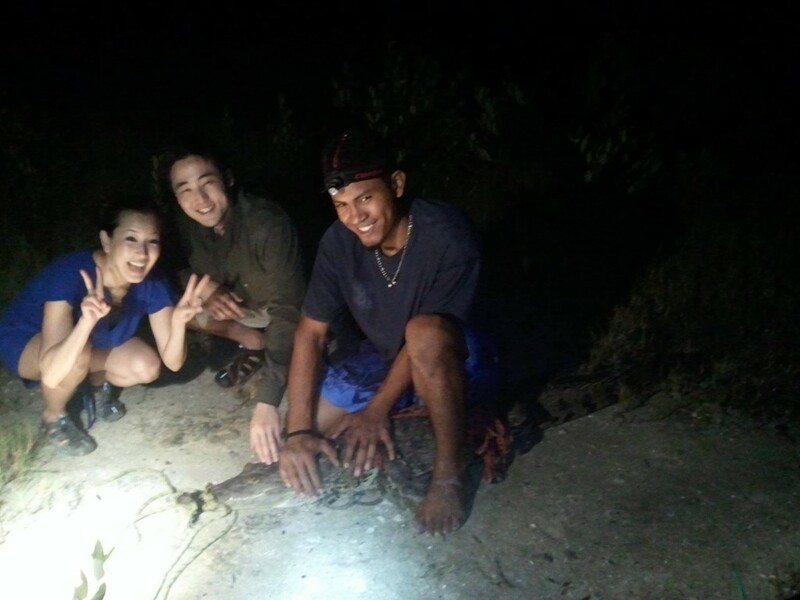 ACES First Mate Miguel Melendez prepares to release the relocated crocodile as a couple of tourists enjoy the photo op. ACES is a non-profit organization permitted by the Belize Forest Department. Please report problematic crocodiles to the San Pedro Police Department, the Belize Forest Department or to ACES at 623-7920. For more information about ACES please visit their website at http://www.americancrocodilesanctuary.org.